Sorry, this item is sold out. Have SNLCreations make something just for you, or try these other items. 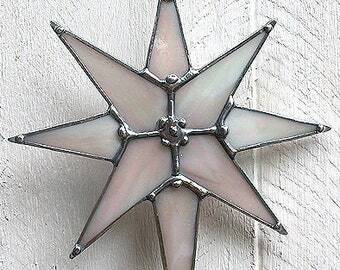 Blue Beveled Stained Glass Six-Pointed Star Suncatcher. 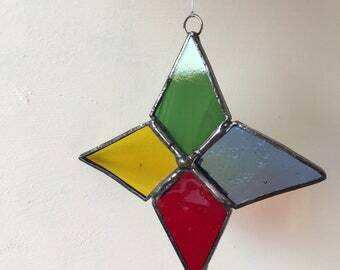 Stained glass Star suncatcher. Star ornament. 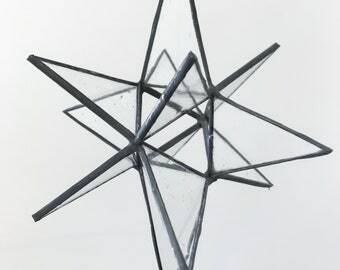 Grey beveled stained glass six-pointed star suncatcher.